Hello, my lovely fashionistas! It is that wonderful time of the week again…WEEKLY WHISTLE TIME! Whoo Hoo! 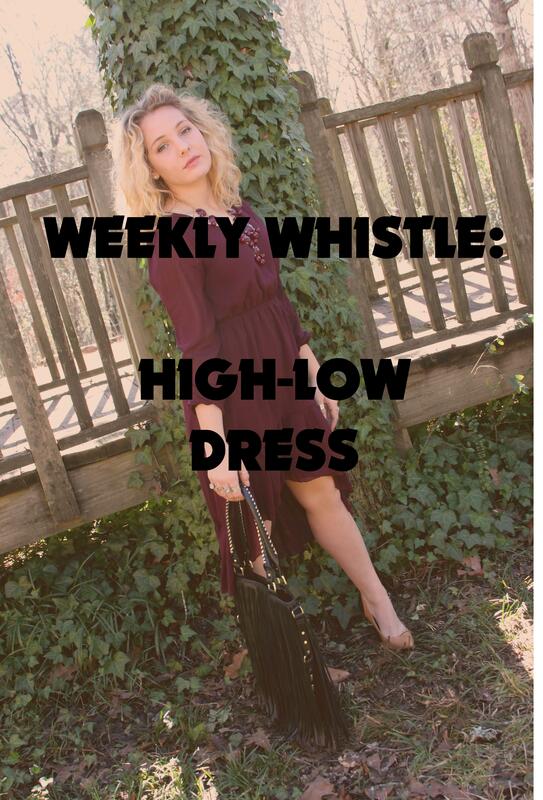 This week’s Weekly Whistle is all about a brilliant burgundy, high-low dress I purchased at one of my favorite clothing boutiques-Deep South Pout! This dress is so versatile and comfy that I wear it every chance I get! My mom says that it will be the “REO Speedwagon tank top” all over again….but it’s so stylish! That’s enough talk about my fashion obsessions! Let’s get to the topic at hand-the VIP’s ensemble of the week! 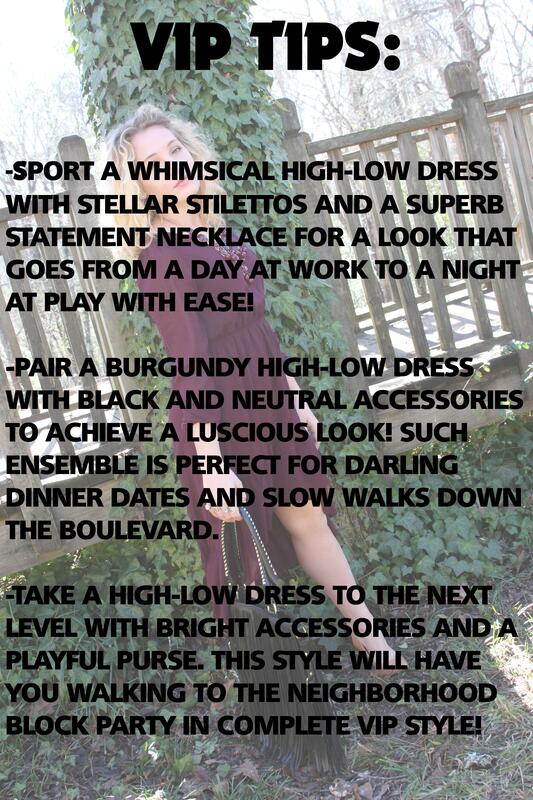 Oh, I just adore that high-low dress…actually, I love all high-low dresses! Hm…some tips on wearing high-low dresses would be great, don’t ya’ think? Of course, what fabulous fashionista doesn’t love tips! Come on, readers, it’s VIP TIP time! Yay! Love it! Fabulous color & necklace! That dress is absolutely gorgeous! also love your bag! ← Shopping in Your Own Closet: Where’d You Get that Vest? !